It can be programmed for multiple exercises in a focused strength cycle, or with 1-3 exercises in a “Fluid” cycle which trains multiple attributes concurrently – strength, work capacity, endurance, agility, etc. This course is designed for professional strength and conditioning coaches, personal trainers and advanced athletes interested and ready to learn advanced program design. 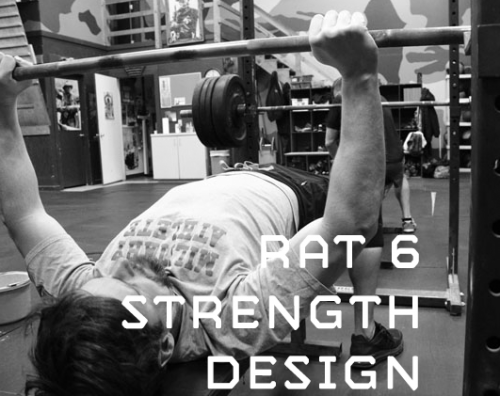 RAT 6 Strength Session Design is a percentage based strength progression based upon 1 Repetition Maximums (1RM) to increase your Maximal Strength, or the absolute total amount an athlete can pick up or lift in any given exercise. It can be programmed in a heavy strength focused cycle, or in a “fluid” cycle which concurrently trains other fitness demands such as work capacity, endurance, and core strength. We’ve deployed Rat 6 Progression both ways, many times in our programming for mountain and tactical athletes. The progression is based on a 8×3 set/rep templates with the progression percentage being applied to sets 4-8. Each progression should ideally be completed twice before advancing. Rat 6 Strength Design can be easily implemented with barbell strength exercises. By the end of this course, you will be able to apply the Rat 6 methodology to one exercise in any cycle, or with several exercises in a focused, strength cycle. How we test for 1RM (1 Repetition Maximum) for Total, Lower and Upper body exercises. The specific set/rep schemes and percentage progressions we deploy in Rat 6 Programming.